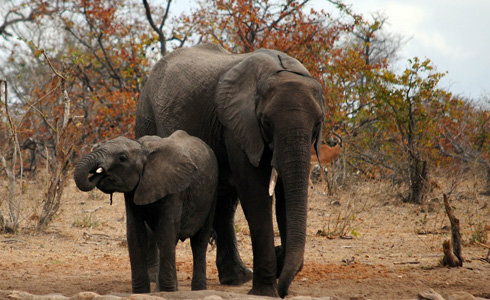 Visit some of Kruger National Park’s top private Big 5 game reserves on this 7 day safari. Start your journey in the stunning central Kruger before travelling to the popular south which is home to an abundance of wildlife. After spending a few days experiencing the delights of the African bush, discover the beauty of the Panorama Route during a stay in Hazyview. Includes: return regional flights (from Johannesburg to Hoedspruit; Kruger Mpumalanga International Airport to Johannesburg), road transfers to lodges, and a private Panorama Route Tour. The price is valid until 31 October 2018 - Book now as limited space available. If you wish to travel outside of these dates - no problem! Please enquire with us to begin planning your dream trip. Fly from OR Tambo International Airport in Johannesburg to Hoedspruit Airport where you will be met by a travel representative. Enjoy the views of the pristine African wilderness during a transfer to your chosen accommodation in Timbavati Private Game Reserve in the Central Kruger. 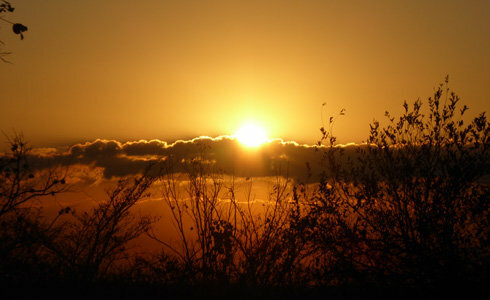 Kruger is world renowned for being a premier wildlife destination in South Africa. Timbavati Private Game Reserve is home to the Big 5 and is unfenced allowing the animals to roam freely in and out of the main park. 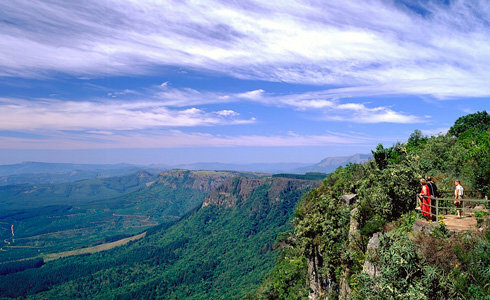 Central Kruger is also stunning and slightly less crowded than its neighbor to the south. The bush here is dense meaning game viewing requires a little more patience but the wait is worth it as the game viewing can be sublime! This area is home to a number of resident predators such as leopard, cheetah and lion. Under the guidance of expert safari game rangers you are sure to experience wildlife thrills during early morning and late afternoon game drives. During the day, over lunch time and in the early afternoon, you have the opportunity to enjoy some down time. Relax in your chosen lodge and soak up the unique ambience of the African wild. On day three, you will be met by a travel representative who will transfer you to the famous Sabi Sands Private Game Reserve in the southern Kruger area. The south is popular with visitors thanks to the abundance of wildlife. Kruger National Park is an iconic safari destination in South Africa and Sabi Sands is one of the oldest and most well-known private game reserves in the country. This reserve also shares unfenced borders with Kruger National Park allowing wildlife to roam freely through the untamed African bush. The diverse landscapes and resident wildlife, including the Big 5, make Sabi Sands a great game viewing destination. 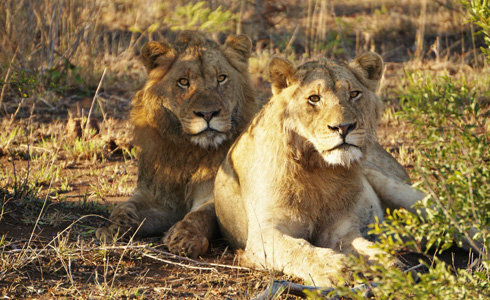 During your time at Sabi Sands, keep an eye out for the big cats that the reserve is famous for. Embark on daily game drives with expert game rangers who will help you discover everything there is to know about the African bush. Enjoy wildlife spotting and refreshing sundowners in the bush. 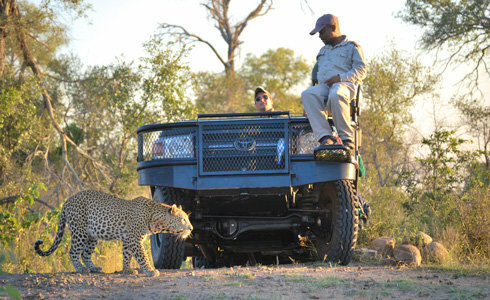 After having your fill of game viewing, it is time to unwind at your chosen lodge in the beautiful Sabi Sands reserve. Sit back and relax by the pool, indulge in delicious meals and enjoy the classic, warm South African hospitality. On Day five, enjoy a transfer to your chosen accommodation in the charming town of Hazyview. During your stay here, you will embark on your private guided tour of the Panorama Route. The Panorama Route is a 70km (43 mile) circular road trip that offers up some of the most stunning views in South Africa. Highlights include God’s Window which is a viewpoint offering dramatic vistas over the lowveld, the extraordinary rock formations at Bourke’s Luck Potholes, the spectacular Blyde River Canyon and the famous Three Rondawels. As day seven arrives, it is time to say farewell to this beautiful region of South Africa. A travel representative will transfer you to Kruger Mpumalanga International Airport to catch your flight to OR Tambo in Johannesburg.